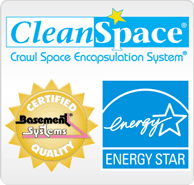 At Mountain Crawl Space, Inc., we specialize in crawl space repair. We can install covered crawl space access wells that will not allow water to leak into your crawl space and will never rust, rot, or corrode. Contact us today for a free quote on crawl space access wells, and we'll send a specialist to provide a complimentary, on-site consultation and inspection! Mountain Crawl Space, Inc. works in Colorado including Clifton, Montrose, Grand Junction, nearby localities such as Fruita, Gunnison, Delta, Cedaredge, Olathe, Hotchkiss, Palisade and the surrounding areas.